The first Eye of God is the Helix Nebula—NGC 7293—just 650 light-years from Earth. 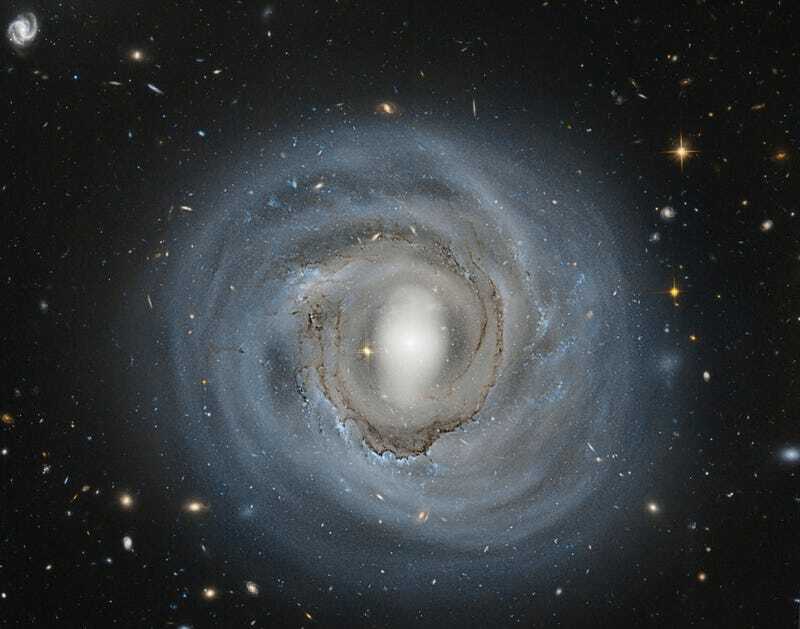 The second Eye of God—NGC 4921, pictured above—is much farther away: 310 million light-years from our planet. It's an espiral galaxy like our own Milky Way, seen right from the top. Don't zoom in and look at the hundred galaxies behind it or you will feel infinitely smaller than what you're already feeling now. Now we need to find the second Eye of Satan.